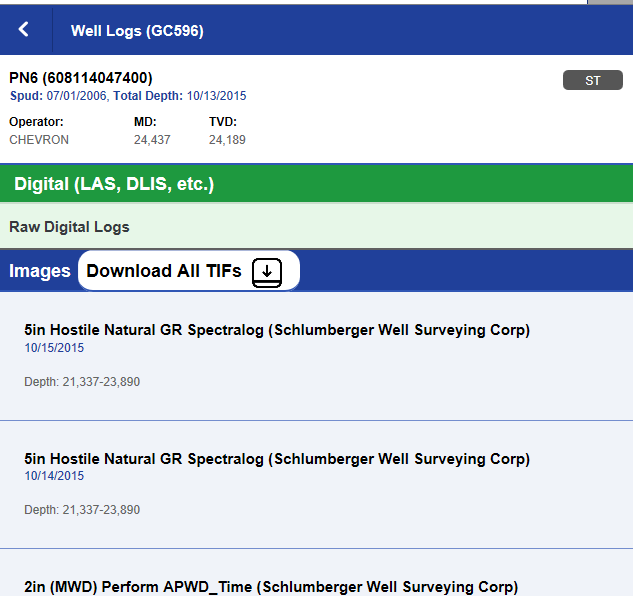 The entire collection of publicly released digital well logs is now available to all GOM3 clients when clicking on a well in both GOMsmart and with the hotlink tool (red lightning bolt) in the ArcGIS interface. These same data are being sold by some vendors for up to $10/log. 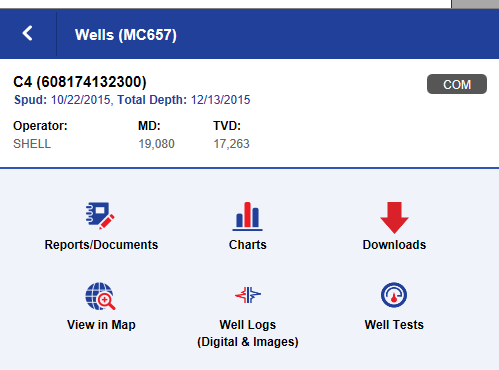 When choosing a well and clicking on the Well Logs option, digital logs will be accessible from a green section at the top of the list. This completes a 10-year administrative and legal battle by ESA with the MMS/BOEM to liberate the collection of digital well logs that had been improperly been kept out of the public domain for nearly 20 years. These sets include LAS, LIS and DLIS files. New files will be added and maintained regularly, with files names set to include BSEE's file name, API Number, well name and log date. None of the files include logs from before 2004, based on the loss of earlier files in Hurricane Katrina, but there are logs from over 5,000 wells throughout the Gulf. 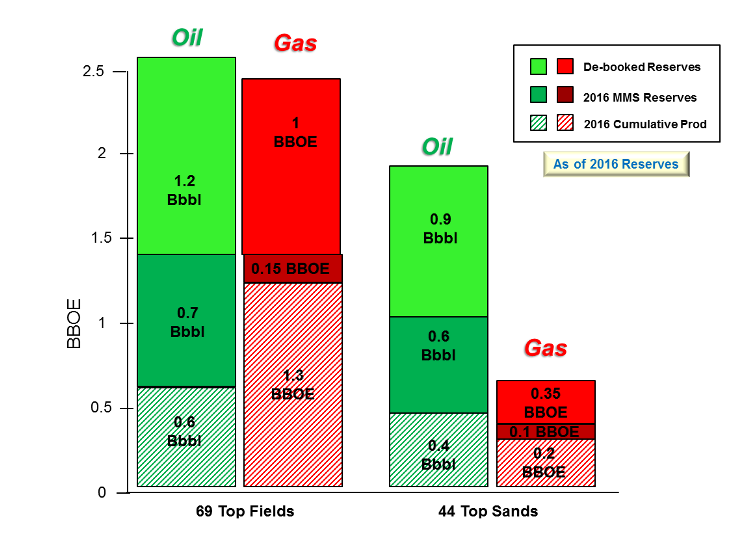 The update to the Forgotten Oil & Gas Study is complete and included with the Business Planning Add-on to GOM3. This work was first published in Oil & Gas Journal, Volume 113, Issue 8 (download here for a PDF of the article). This study covers many datasets, including field and sand reserves and highly-tested completions which never produced, but the largest analysis focuses on decline curve analysis of every reservoir in the Gulf of Mexico which is no longer producing. The study focused on identifying and quantifying the remaining producible oil and gas in all GOM reservoirs abandoned before 2017. We found several hundred million barrels of oil and several trillion cubic feet of natural gas spread among hundreds of old reservoirs, which had produced but are now inactive. In all cases, several decline curve models were applied, the statistically best fit results retained and 10/90 confidence intervals generated for all the results. In addition to automated decline curve analysis of over 25,000 reservoirs, we found reserves written down by MMS/BOEM in their annual assessments that deserve re-examination, reservoirs that were shut-in before they began to decline and completions with promising initial test results that were never produced. All of these results can be downloaded in the Business Planning section of GOMsmart. A sample download is available for a look at the structure of the data for those who do not have the Business Planning Add-on.